The company is using more than drones to get faster internet to people. At its annual F8 developer conference, Facebook announced two new wireless systems meant to help bring internet access to underserved areas. One system will tackle pushing broadband through the buildings found in dense cities while the other is meant to increase the bandwidth of towers. 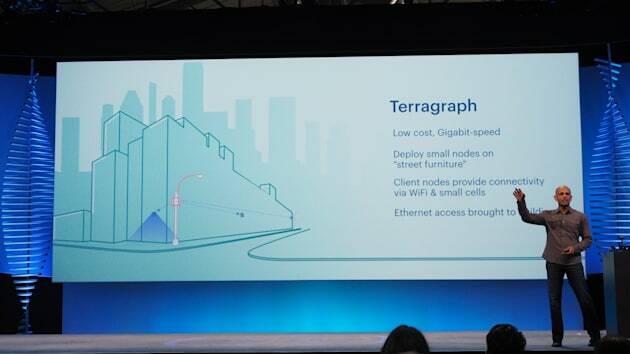 The Terragraph is a 60GHz network node that can penetrate the buildings in dense urban areas. While 60GHz is more immune to interference, it's not so great over long distances. So Facebook says it will place the devices every 200 to 250 meters. That will help add broadband to areas where it's too cost-prohibitive to add fiber lines, for example in San Jose, where Facebook announced it would be testing the system. 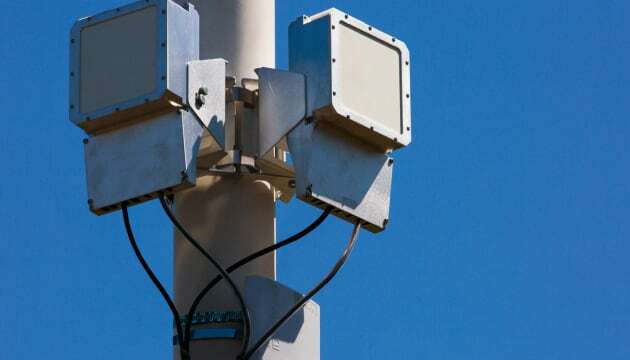 Meanwhile the Antenna Radio Integration for Efficiency in Spectrum (ARIES) system is a proof of concept that will expand the number of users that can be connected simultaneously to a tower. Usually when you want to support more devices per tower you have to increase the electromagnetic radio frequency range. But the ARIES tower is different: It has 96 antennas and uses spatial multiplexing (multiple data streams transmitted at the same time) to handle 24 streams on a single spectrum. It's meant to work in less-dense areas over long distances. Both of these pieces of tech are meant for areas where wireless access is either nonexistent or extremely slow. CEO Mark Zuckerberg talked about the Free Basics platform to bring gratis internet access to people who might not be able to get online otherwise during his keynote at the start of the conference.